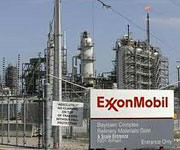 If approved, the plant will be built at the company's Baytown complex and is expected to produce 1.5 million tonnes/year of ethylene, which will be piped to the company's nearby Mont Belvieu complex, where it will be used in two planned PE production facilities, each expected to have a capacity of 650,000 tonnes/year. Since its purchase of XTO Energy in 2010, ExxonMobil has been US�s largest natural gas producer, unlike Dow that does not drill, thereby further slashing its costs. The company had said as recently as last year it had no plans to expand chemical production in the US but may not be able to resist the decades-low natural gas prices. Its decision to build the new plant also comes after recent announcements by Dow, Royal Dutch Shell, LyondellBasell and others to expand their own US chemical production. US natural gas prices have dropped more than 20% so far this year and prices are expected to remain low for years due in part to ramp up production from the shale reserves. That gives US producers a large cost advantage over European and Asian rivals, many of whom have to use crude oil-derived naphtha to make chemicals.